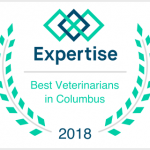 Named one of Columbus’ Best Vets for 2018! 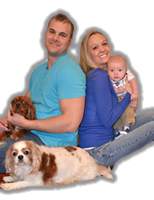 The Northarlington Animal Clinic has been serving the northwest Columbus community since 1972. 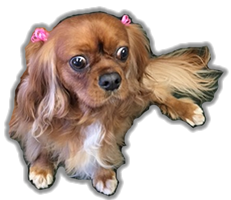 We are a full service animal hospital for dogs, cats, pigs, reptiles, and small mammals. The Northarlington Animal Clinic is committed to providing excellence in veterinary care with an emphasis on preventative medicine and client education; to offering our clients and patients an atmosphere of compassion, kindness and integrity; and to promoting the welfare of all animals through community service; and by encouraging the human animal bond. Northarlington Animal Clinic is located at 5011 Dierker Rd. Columbus, OH 43220. We are located just north of Henderson Road, approximately 2 miles east of Riverside Drive and 3 miles west of State Route 315.